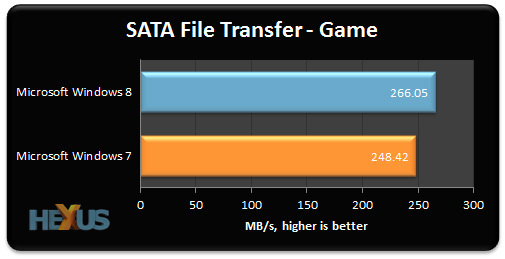 We're using the AS SSD benchmark to measure data transfer speeds, beginning first with SATA 6Gbps performance. 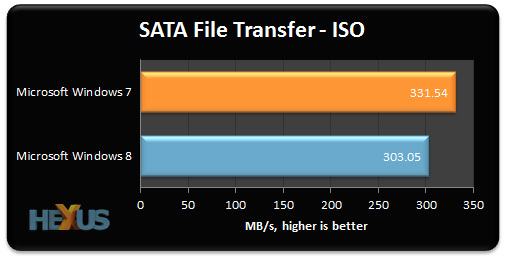 The ISO test entails copying two large files to our Samsung SSD, and we see a surprise result; Windows 7 is quicker in this scenario. 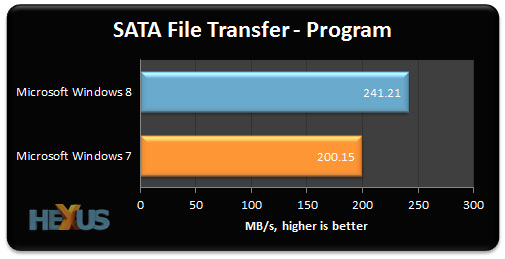 The Program test copies numerous small files and normal service is resumed, with Windows 8 comfortably winning the race. Our third test writes a Game folder consisting of numerous mixed-size files, and again, Windows 8 is quicker than Windows 7.